The visibility underwater was very limited, so I was surprised when this manatee appeared out of nowhere and swam towards me. 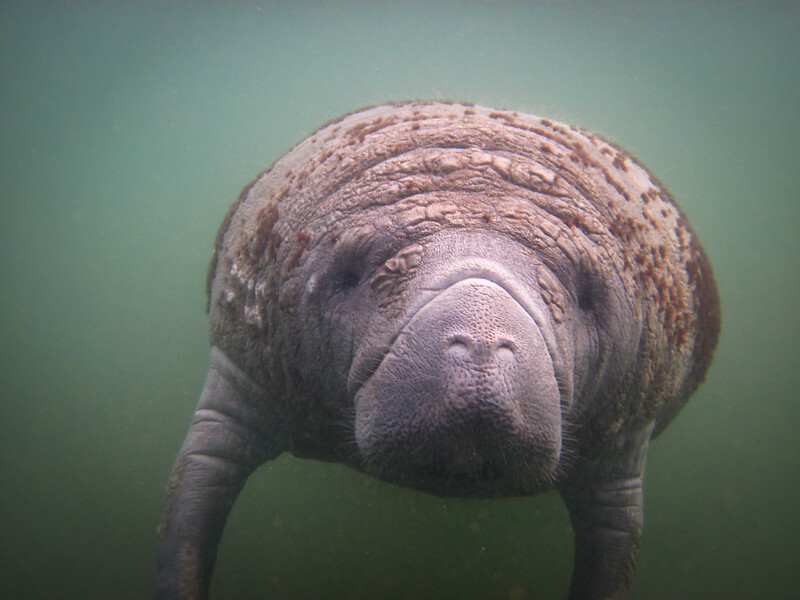 Manatees usually keep their distance from humans but this one seemed quite curious and friendly. This gentle manatee lingered by my side for a while, so close that I couldn't resist touching its back ever so gently. A truly unforgettable interaction with a beautiful wild animal that has enriched my life.